Restored Concrete Stairway Arises from Historic Roots from Mattingly Concrete Inc., Indianapolis, Ind. 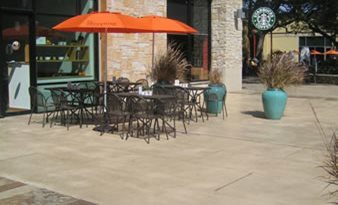 Decorative Streetscapes Used in Upscale Retail Center at The Domain in Austin, TX. Concrete Landscape Creatively Interprets Children's Garden at the Morton Arboretum in Lisle, IL.